Kevin Schwantz has played down rumours that he will spearhead Suzuki’s planned return to the MotoGP world championship in 2014. Rumours linking the Texan legend with running Suzuki’s new 1000cc project in 2014 surfaced again last month, though the 1993 world champion has played down any potential management role. Suzuki is planning to race its new GSV-R 1000cc bike in selected wild card appearances next year before making a full-time return to MotoGP in ’14. 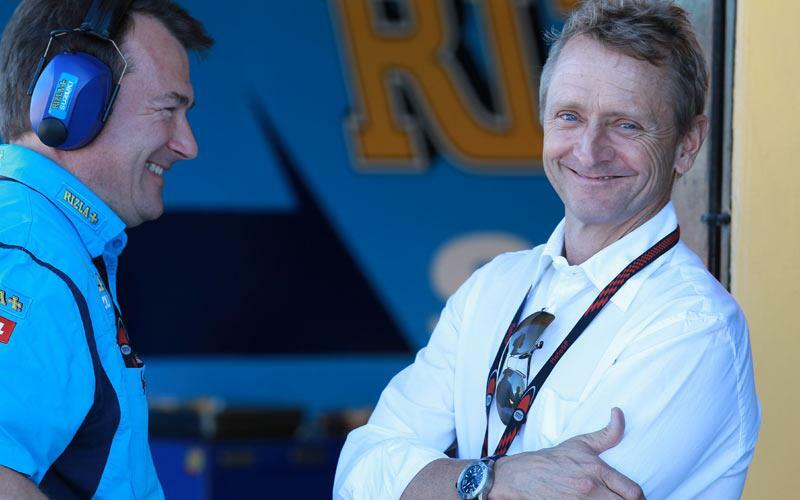 Hot gossip recently was that Schwantz would run the team but he said he last spoke to Suzuki about its MotoGP plans when he attended a special 50th anniversary celebration for the Suzuka circuit in March. He told MCN: “It sounds awesome but the first time I heard about it was in Indianapolis. I’d love to think they will be hanging out in Europe all next summer and run some wild card races and find a group of guys that work really well together and really attack it full on in 2014. Suzuki moved a step closer to a full-time MotoGP return in 2014 after senior race bosses held crunch talks about the Japanese factory’s future in Brno recently. A small delegation led by MotoGP boss Satoru Terada met Dorna boss Carmelo Ezpeleta to brief the Spaniard on plans to return to MotoGP in 2014. The summit also gave Ezpeleta the opportunity to keep Suzuki up to date with the latest rule changes planned for 2014, with a controlled ECU and rev limit of 15,500rpm to be implemented across the board. Ezpeleta is understood to have told Suzuki he wanted them to sign an agreement obliging them to race for a minimum of three years. Rumour has suggested Suzuki wanted to race in 2014 before deciding whether to continue. Terada confirmed that Suzuki will definitely not return a year ahead of schedule next season and although development of its new GSV-R 1000cc bike is progressing in Japan, there is no definitive commitment to be back in 2014. Terada did though confirm Suzuki planned to test extensively next season in Europe and complete as many as six wild cards. He said: “When we ended our involvement in MotoGP last year we stated our intention to return in 2014 and that is still the plan. We were in Brno to understand the situation with the direction of the regulations.